M - F, 8:00 a.m. - 3:30 p.m. Strikes a balance among community safety, defendant well-being, return court appearance and cost-savings. If the court orders Pretrial Services Supervision as a condition of release, the individual must report to the Pretrial Services Office in person by the time specified on the court order (typically 3 p.m. the day following release from custody). Supervision will remain until the case is resolved or the Court removes the condition. 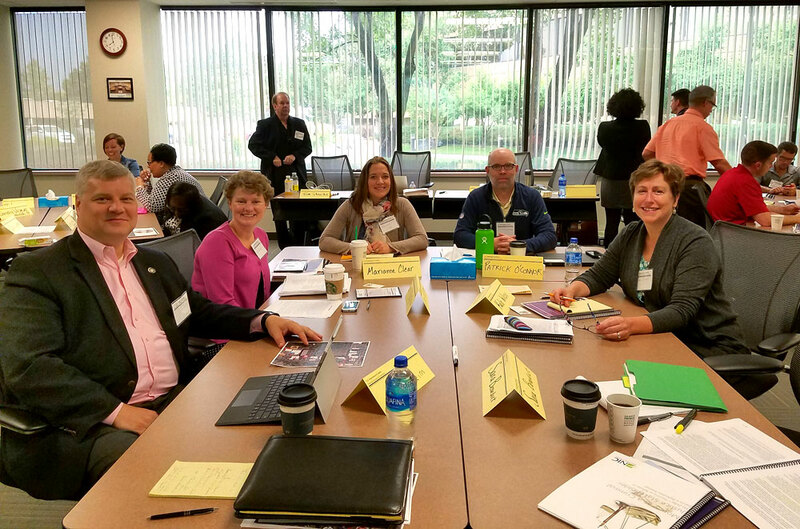 from left to right: Prosecuting Attorney Jon Tunheim, Judge Carol Murphy, Marianne Clear, Patrick O’Connor and Judge Kalo Wilcox seated together during a break from class at the Pretrial Executives training. 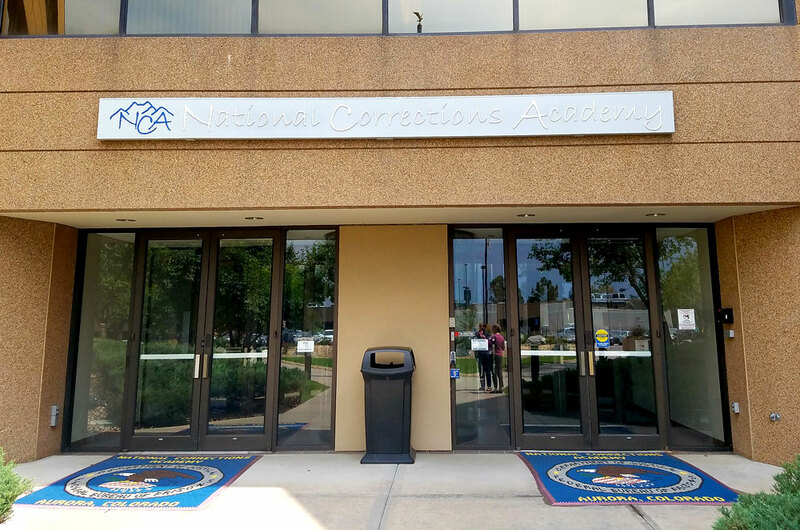 ​The National Institute of Corrections (NIC) selected five professionals from Thurston County to attend the Orientation for New Pretrial Executives training in August 2017. The application pool was competitive and they were not able to fund everyone who applied. The faculty consisted of professionals from both NIC and National Association of Pretrial Service Agencies. The objectives included enhancing knowledge in: 1) principles of pretrial justice law, 2) pretrial justice research, 3) elements of a high functioning pretrial system, 4) elements of a high functioning pretrial agency and 5) leading change.